Many of the comforts of life we take for granted today were nothing more than a dream a little over 100 years ago. In the late 1800s, while Hintonburg and Mechanicsville were prospering and growing rapidly, the infrastructure had not grown along with it. Water service to the neighbourhood was non-existent, and sewage was primitive at best. Both were seem as impossible, owing to the bedrock on which most of the area sat. I'm sure many citizens in the 1890s cursed the village planners who had established this busy residential and commercial section on top of what was then an impenetrable platform of rock. Water service eventually became an absolute necessity, as fires were constant in the area, any of which could threaten the entire neighbourhood at any time, depending on the wind. Adding to that, no industrial companies could be compelled to move to the area without water, and perhaps most concerning of all, the ongoing use of outhouses at every home spilled into the small network of creeks that traversed Hintonburg, leading to the regular spread of illness and occasionally, death. 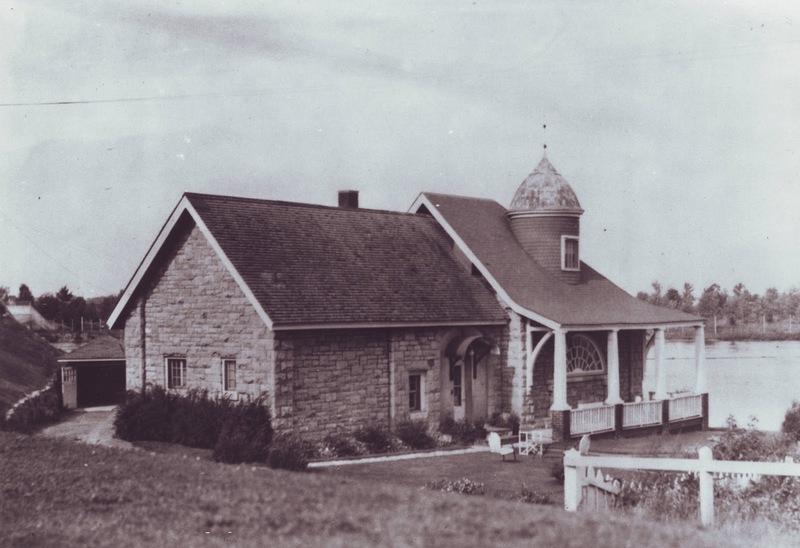 The establishment of water works was finally a success in 1899, and this is the story of that system, and the pumphouse which enabled water to finally flow to the homes of Hintonburg that year. It came at a heavy cost, however. Hintonburg spend over their heads on the project, leaving themselves unable to afford sewers that they needed as well, and in heavy debt. The independent village had no choice but to join to Ottawa to help in the matter, and within a few years, they joined the city water system, rendering the little pumphouse redundant. However, it took on a new identity as a unique little waterside house, which was inhabited until 1980. The house later was given heritage status, and would today be a really cool structure that could have had a million different community uses. Unfortunately, kids or transients burned the house down in an intentionally set fire in 1989 while it sat vacant and awaiting a decision on its use. The ruins were still substantial in 1989 (as you can see in one of the photos in the link below) and more could have been done to rebuild or preserve, but instead the house was left to rot over the last 30 years. Now there is little left to save, and any preservation would come at a hefty cost, which no one seems to want to pay, in order to preserve a small bit of the building on a site they aren't even sure how to use. I'm sure we are still many years away from a decision being made on what to do, meanwhile the ruins continue to sit idle.